ICTBroadcast allows you to create direct Inbound campaigns and interactive outbound campaigns. Both of these campaigns can be used to create virtual and external call center. Inbound Call Center: This campaign waits for calls to come on a DID and transfers the incoming calls to agents for further call processing. Agents can view information about incoming caller ID, call duration. Comprehensive campaign statistics are provided at the end of every campaign, with caller info, call duration and agent data. 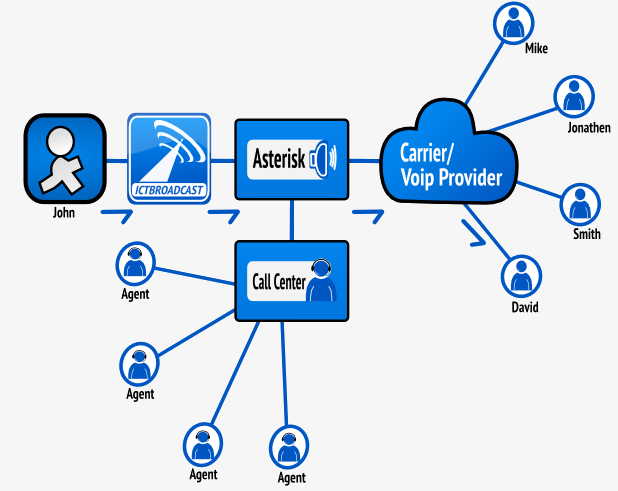 Outbound Call Center: This campaign allows you to dial a list of contacts (that can grow in millions of numbers) and once the call is received by the recipient, it plays a custom message and waits for some DTMF key to be pressed (usually 1# for transfer to agent) and if required key is detected, call is transferred to agents for further processing. Agents can view information about incoming caller ID, call duration. Comprehensive campaign statistics are provided at the end of every campaign, with caller info, call duration and agent data. 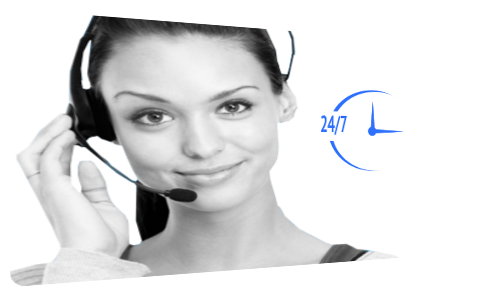 Virtual Call Center: This is a special call center type where agents work at home for companies that either utilize their services themselves or contract to provide telephone support services for others. ICTBroadcast can be used as a Virtual call center where agents may do telemarketing, customer service, third-party verification or technical support for in-bound or out-bound calls.